Atlantic Hearts Sketch Challenge #100!! Can you believe it; we have reached Sketch 100! Everyone at Atlantic Hearts Sketch challenge is so excited to celebrate this milestone with all of our followers and participants. To celebrate Sketch 100 we will be giving out some blog candy and all you have to do is visit our fabulous design team members blogs and leave a comment on their design for Sketch 100 and you are entered. We will be drawing several names at random from the comments. To increase your chances of winning, leave comments for all of the design team members! And to be fair, you can only win 1 time! Please invite your friends and family to join the fun! Thanks again for being part of our challenge community and we are all looking forward to the next 100 fabulous sketches and your awesome creations! Happy Crafting! Cross Canada Blog Hop... Easter Fun! Welcome to our March Blog Hop featuring Easter Fun creations. 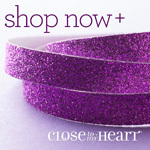 To purchase any of the items seen in tour blog hop today, contact your local consultant to place an order. We hope that you will take the time to leave comments on our posts, as we love to get feedback from our viewers... whether it was something that you really liked or some new technique that was used that you would like to learn how to do. By leaving us comments, we get to hear what you like and what you want to see. Thank you... now on to our hop! If you have just hopped onto my blog, you can start here as this is a circular hop, but if you want to follow us across Canada than please start at the beginning and join Michelle at My Creations with Michelle. If you came from Heather at Inky Hugs then you are in the right place! 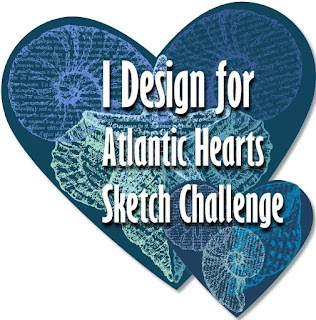 Atlantic Hearts Sketch Challenge #98! I have been wanting to play with the Wanderful Paper Packet and the super cute Sightseer (C1534) stamp set for awhile and was just waiting for the right inspiration to hit. This weeks sketch from Atlantic Hearts did the trick for me.